When asked which commandment is greatest of all, Jesus responds with a simple, yet unfathomably complex statement: “’Love the Lord your God with all your heart and with all your soul and with all your mind” (Matthew 22:37). Many of us hear this verse and take it to mean saying we love God a lot or worshipping really hard next Sunday. We tend to put a lot of focus on the heart and soul of loving the Lord, but we don’t pay much mind to the mind part. Loving the Lord with your mind is the wrestle of your faith. It is where your doubts meet your exploration for truth. It is the excitement of discovering the historicity of biblical events. It is the adult decision to actively choose to love God, even when we don’t feel good about doing that. Having an intelligent faith is what roots us deeply in the times of trouble – when our expectations of what God should do and what we see Him doing doesn’t match. How do you love the Lord with your mind? Loving the Lord with your mind is the act of expressing your love for the Lord by dedicating your intellect to the pursuit of Him. By this, we mean getting to know the Lord based on scripture and facts and evidence, and not developing any false or fanciful ideas of the Lord. God wants us to be intellectual. He didn’t give us minds to not use them. Many Christians are shy of using the mind to love the Lord because we’re afraid the mind will lead us away from him. While it’s true that engaging in the world of intellect comes with challenges to faith and belief, it also leads us to the Lord. Loving the Lord with your mind may include investigating His presence outside of the Bible. That’s what Lee Strobel did while gathering facts that would eventually be recorded in his novel, The Case for Christ. In his pursuit to proclaim the ridiculousness of believing in the God of Christianity, Strobel instead found himself confronted with evidence where he thought there would be none. For example, he discovered that much of history according to archaeology agrees with many biblical places and events. This kind of intellectual pursuit, in conjunction with the heart and the soul, led Strobel to form a relationship with the Lord. 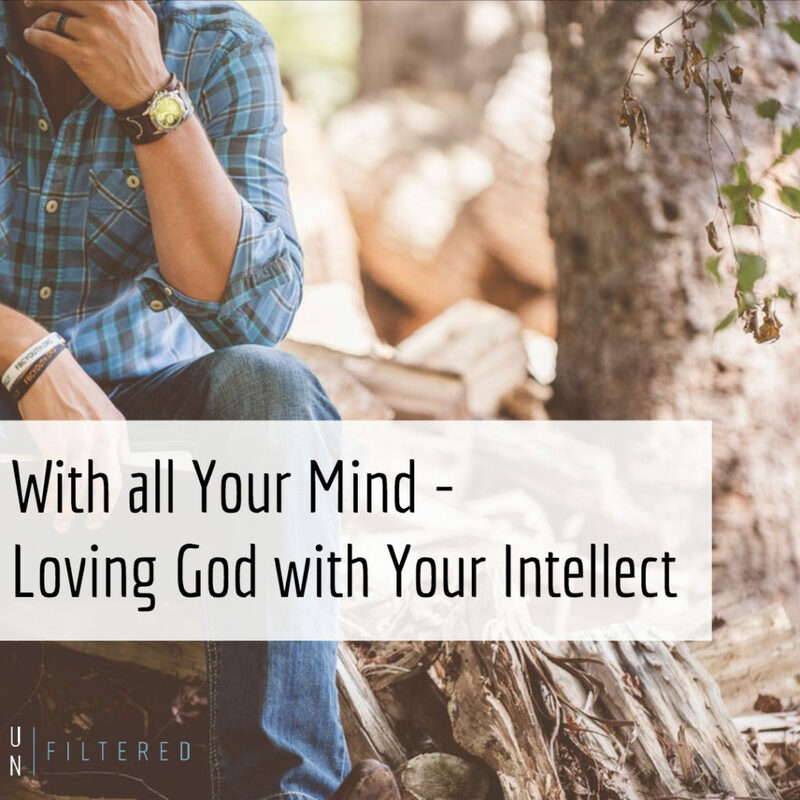 Are you struggling to maintain your love for the Lord because of some intellectual barriers? It may be scary, but running through those barriers and exploring the intellectual side of your faith may be one of the most rewarding decisions you could make.